'Transformative' / 'An amazing victory' / Ribfest exit? 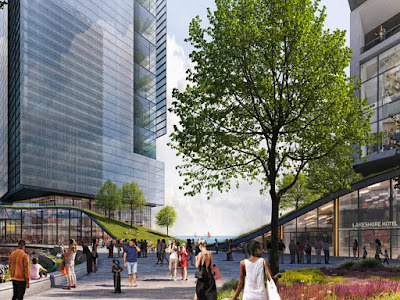 ■ … and community groups want more answers about plans for “The 78” development linking the South Loop and Chinatown. ■ A new analysis warns of record flooding for Gurnee as a consequence of Wisconsin’s Foxconn factory development. ‘An amazing victory.’ A lawyer hails a judge’s order finding a suburban hospital’s new owners in contempt—and requiring them to abort their efforts to close the place. ■ After a string of mishaps, U.S. Rep. Dan Lipinski wants Metra to take control of Union Station away from Amtrak. ■ Lipinski faces a renewed primary challenge for his seat from Democrat Marie Newman—who says the rematch will be different. ■ … but it’s still behaving repugnantly. Nice work if you can get it—until you’re caught. 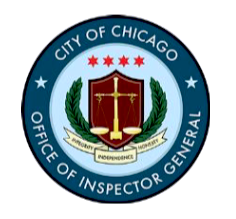 The latest Chicago inspector general roundup of municipal misdeeds includes the tale of city workers who abused family medical leave to take Caribbean cruises. ■ Read the full report in a PDF. As Mueller Thursday nears … Washington Post columnist Margaret Sullivan cautions not to count on the media for “a nuanced, accurate job … helping citizens understand the redacted version” of the Mueller report on President Trump’s campaign and Russian interference in the 2016 election. ■ … and whose ratings success is prompting other Democrats to consider visiting Fox. Current events. A new Bloomberg forecast suggests electric cars’ purchase price will beat those of gasoline-powered vehicles in just three years. ■ In London today, “Extinction Rebellion” climate change protesters glued themselves to a train. ■ … who told your Chicago Public Square publisher on WBEZ in 2013—among other things—what she’d do if she could make over Detroit. 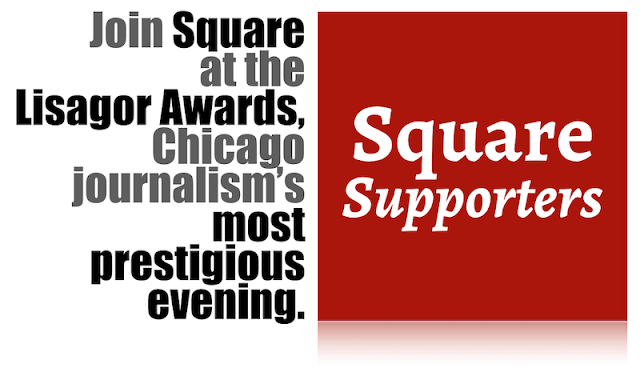 ■ … including the classic Hoop Dreams and the documentary series America to Me—whose director, Steve James, joined Square for a podcast last fall. Ribfest exit? Organizers of Naperville’s celebrated summer pigout are planning to move it to Romeoville next year. ■ Naperville’s Christkindlmarket is history, too. ■ … as (updating coverage) police hunt a young Columbine-“infatuated” Florida woman who reportedly flew to Denver and bought a gun. ■ New research finds no evidence that hundreds of millions of dollars spent nationwide on protecting students from gun violence has made any difference.